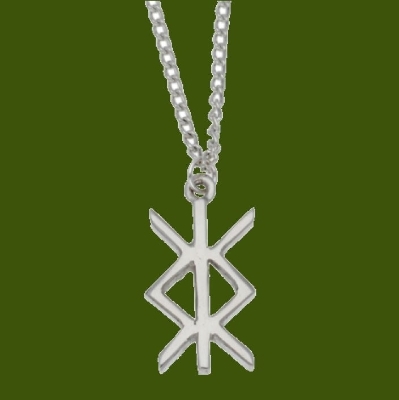 This Protection Runic Symbol Themed Pendant is expertly crafted with beautiful Stylish Pewter. 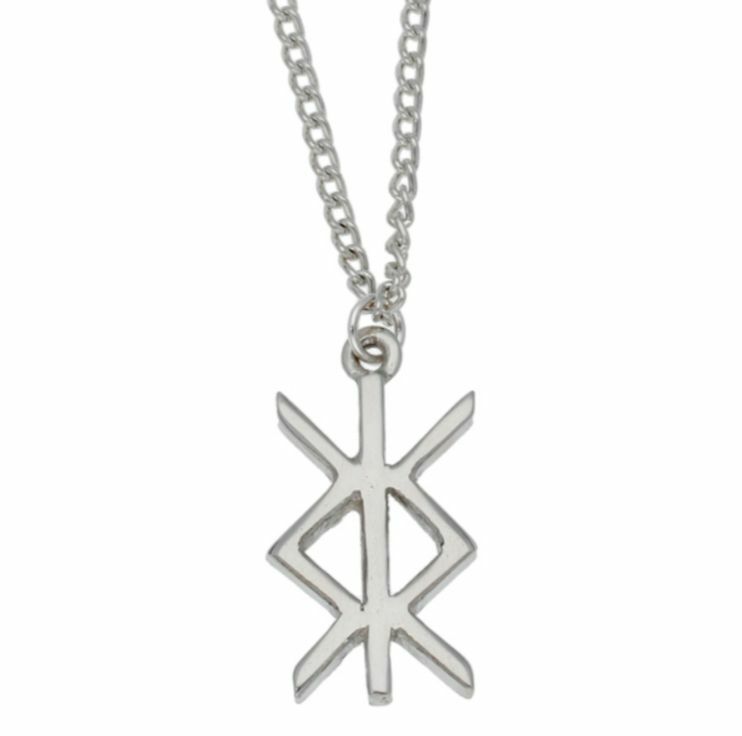 The protection rune – The splayed hand of Algiz is warding off adverse force and combines with Sowulo the lifeforce, enabling the wearer to generate inner strength. The use of runes is ancient, probably arising almost simultaneously with the use of runes as an alphabet. Essentially, a bind rune is a symbol composed of several runes overlaid, one on top of another, to form a single character. This pendant measures 27.00mm (1.06 inches) x 14.00mm (0.55 inches). An 18.00 inch (45.72cm) Tin plated Curb Chain comes with this piece. A surgical steel curb chain is available upon request. Supplied in a satin and velvet-lined gift box. This handcrafted Pendant will become family treasures that will last through the ages! This beautiful Pendant is a perfect gift for any occasion. Wearing this beauty around your neck will provide you endless pleasure. This item is made in and shipped from United Kingdom. Your item will be shipped from this address. Please be advised that your item needs to be cast and made before it can be sent to you. Please allow sufficient time for your order to arrive. Perfect for any occasion. This is a gift that will be proudly worn by any member of your family.